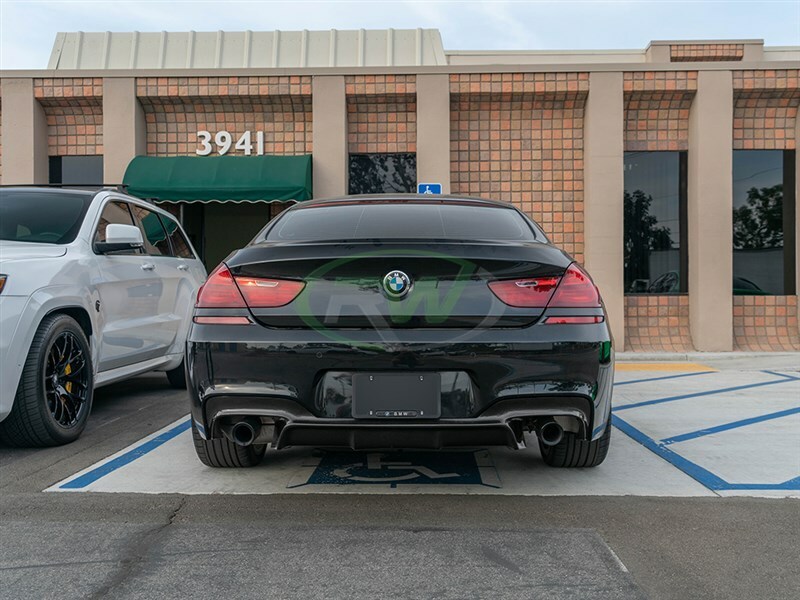 Ditch the grey, oem diffuser in exchange for this sleek - 3d style carbon fiber rear diffuser for your 6 series. 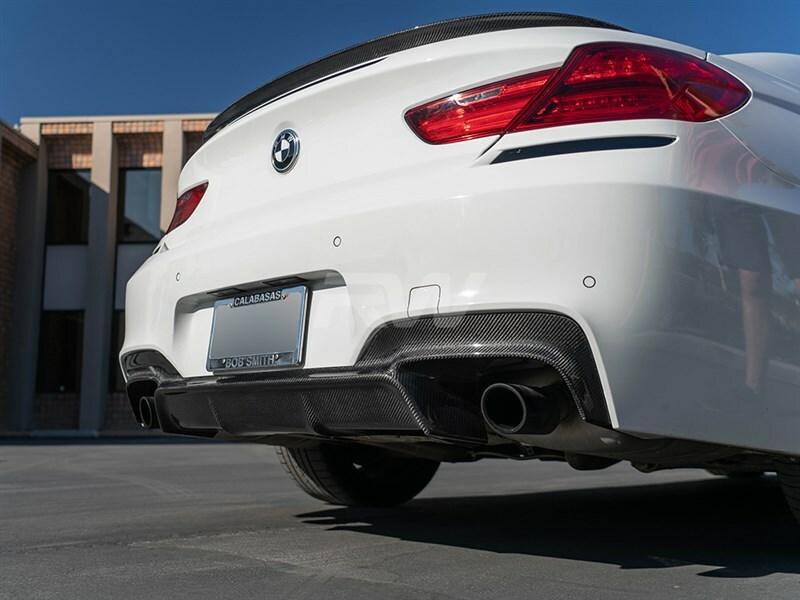 This carbon fiber rear diffuser fits 2012+ 6 series (with M sport) applications including coupe, gran coupe and convertible. 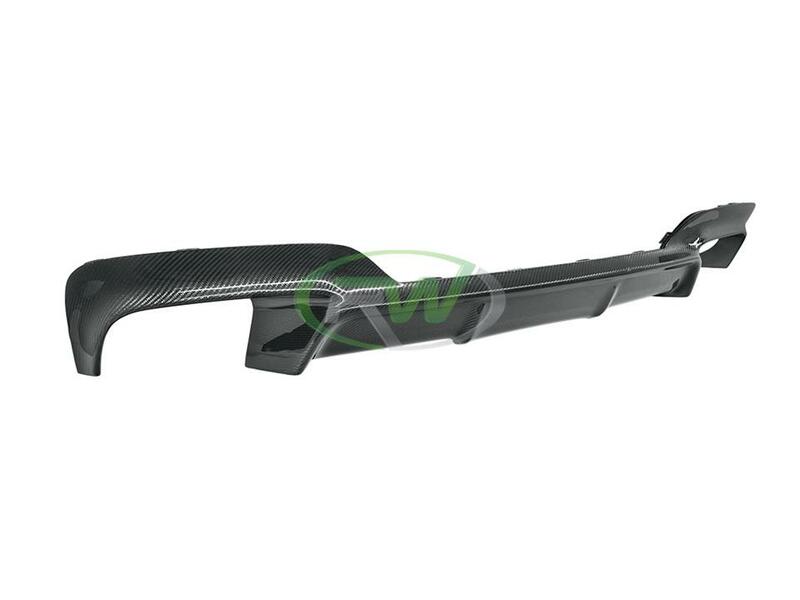 Each 3D style carbon fiber rear diffuser features 2x2 carbon fiber weave, which will perfectly match other RW or OEM parts you have installed on the vehicle. Installation is done via tabs integrated in the diffuser, the bumper must be removed to properly install this item. Once completed, we finish with a UV resistant clearcoat which makes the diffuser easy to clean and protects the finish. We recommend upgrading to quad exhaust style tips if you plan on running this diffuser. 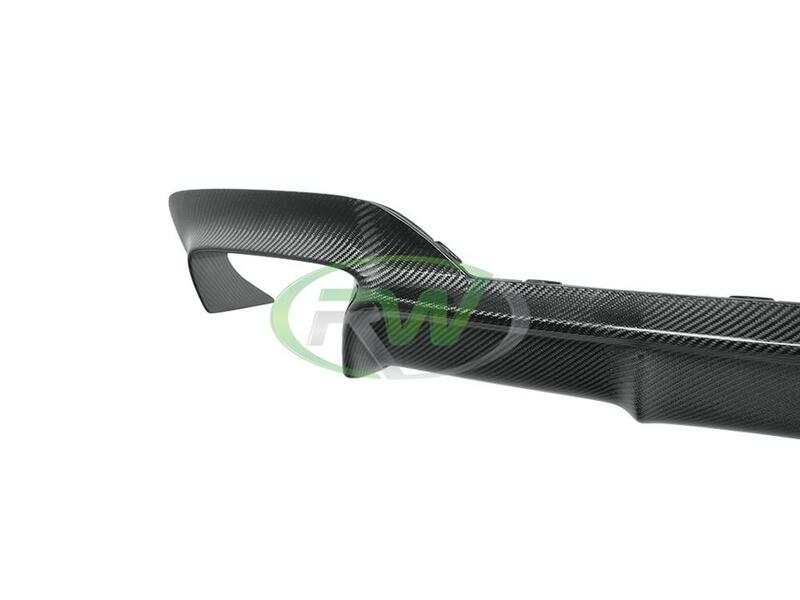 Get a subtle yet aggressive new rear-end appearance for your BMW with this RW Carbon 3D style CF rear diffuser. 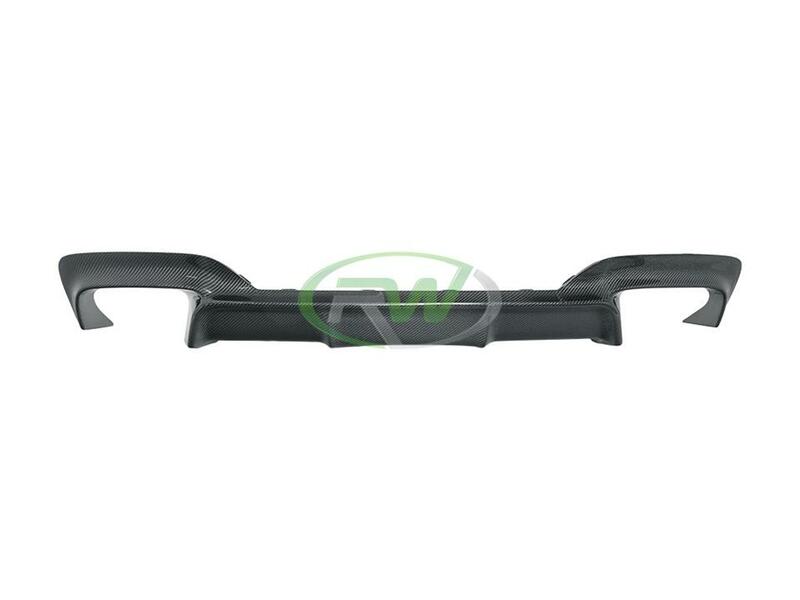 This 3D styled carbon fiber diffuser for the F06 F12 F13 6 series requires the rear bumper to be removed for installation. Due to this RW Carbon insists you get this diffuser installed at an auto shop.